Today it takes much more than wiping the seat, washing your hands, and mopping the floor. These are times where germs that lurk in unsanitary conditions can carry a devastating punch. Bella Bagno Inc. offers an entire line of products designed to keep germs under control and your facilities safe. If you look closely you'll find our products in airports, restaurants, hotels, country clubs, casinos, offices, factories, schools, sporting arenas, parks, campgrounds, convention centers, and everywhere sanitary facilities and public safety is a must. So, select your category above and find your solution through Bella Bagno Inc. Contact us direct at (847) 673-SEAT (7328) or click on a market to view our solutions. 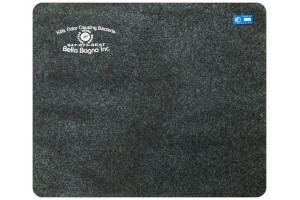 BellaMat® is the ONLY custom made disposable restroom urinal floor mat made of GREEN Smart™ Technolo.. 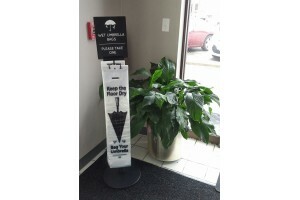 Wet Umbrella Bag is a disposable, recyclable plastic bag designed specifically to hold a closed um.. Consider the germs on the commercial toilet seat. A paper cover is just not enough protection. With ..